My name is Mariah, I’m 25 years old and I graduated from GNH in 2014, with a specialization in Public Health Nutrition and Food Policy. During my bachelor’s degree I studied a semester abroad on the Australian East Coast at The University of the Sunshine Coast (USC). This is the short edition of how my dream of studying more than 15,000 km away from Copenhagen became reality. 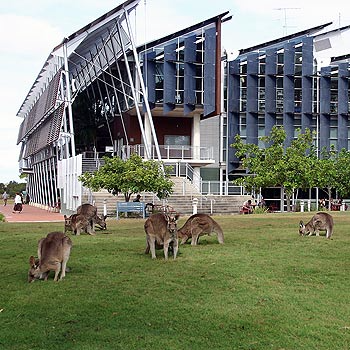 Not long after I started studying Global Nutrition and Health in 2010 I was certain that I wanted to take a semester abroad and I knew exactly where: The University of the Sunshine Coast in Queensland, Australia. Admit it, even the name makes you want to pack your stuff and go there immediately! I was planning to go during my 6th semester in January 2013, and started the application process around September the year before. Back then, I hardly knew anything about the process and had no clue how comprehensive, time-consuming and somewhat complicated it was to collect the necessary documents. But don’t let this scare you! Due to my choice of studying outside Europe, my program wasn’t included in Eramus, hence I had no guidelines or help on how to apply, what documents to include and when to submit the application. However, I wasn’t intimidated by this and did not once thought about giving up my dream, thanks to my stubbornness. After gathering aaaall the necessary documents, I accidently found out, that Kilroy Education, located at Skindergade 1.5 kilometers away from Metropol, had a collaboration with USC – typical… Yet, I decided to contact them and found out, that they were more than happy to help me. Even though, I had already collected all necessary documents, I was released, that they assisted me with the actual submission of the application, which removed a heavy burden of my shoulders. 25 days before Christmas I got an early Christmas present when I received the following message: “Dear Mariah Juul Nielsen. It is our pleasure to inform you, that you have been admitted at The University of the Sunshine Coast”. I was beyond thrilled, and couldn’t wait for the traveling day to come! Three weeks before semester start in Australia, my parents and I went to the land of kangaroos, koalas and crocodiles together and travelled down the East coast for 2,5 weeks. Hereafter they dropped me off at Varsity, a student accommodation located 5 minutes from campus. And then reality hit – I was now all by myself, more than 15,000 km away from home, and ripped out of my comfort zone! Luckily everyone at Varsity was. The majority of the people there were other adventurous exchange students from all over the world, who had travelled alone and had been in the exact same situation as I now was. Thus, it was extremely easy to make new friends, and I met so many amazing people during my time in Australia, with whom I travelled, explored and partied. However, everything wasn’t just pool-parties, daytrips, tanning on the beach, Goon and hangovers. On a more serious note I was a fulltime student and had to attend the following four courses: Food Studies, Principles of Nutrition, Health Promotion Needs Assessment and Planning, and Health Promotion Principles. The lectures were very unlike what I was used to in Denmark. Where lecturer and students have a dialog during lectures at GNH, the lectures at USC was far more traditional, with the lecturer giving a 1.5-hour speech in front of 150 students sitting in an auditorium. Whoa, I really had to get used to retain my focus throughout the day… However, in contrast, we also had “tutes” (practical lectures) in every course once a week, where we were working with the content of the previous lecture with a more practical approach. These lectures definitely were a relief! Follow your dream and don’t ever compromise. Don’t give up even though the application process may seem overwhelming and at times impossible. Take charge of the situation and don’t expect that others will do your work – keep pushing in order to move forward. Do what I didn’t – start the process of collecting the necessary documents as early as possible! Take the time to write good applications for various funds, it’s literally worth the time – I personally received 15,000 DKKR from Nordea Fonden! Contact Kilroy Education, EDU or other organizations, which may be helpful and able to guide you in the process of applying. 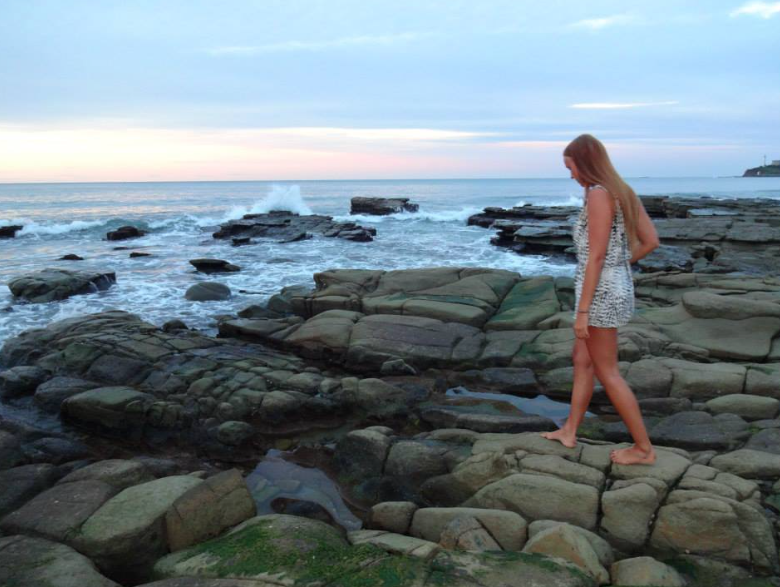 Allow yourself to travel while you’re abroad and experience the country you live in. Start saving up immediately after returning to Denmark, in order to be able to visit all your new international friends. I want to study abroad as well. I have a few questions I’d like to ask you. Hi Tina, great to have your comment here =). You can see more about our programme and how amazing is Studying in Denmark accessing: http://www.phmetropol.dk/en and http://studyindenmark.dk/. Sorry I failed to inform that I am a current GNH student who wants to study abroad as well. Just do it! I say! Living in Antalya and studying at the Academy of Tourism gave me a great experience and I hope it will be useful in the future. At the Academy, I met a lot of people and very thankful for that! I will not forget the good and funny time in the Academy. This is a unique place where you are train yourself mentally, morally and psychologically to adulthood! There were pleasant and not so pleasant moments, but the Academy helped to overcome them. Thank you for these three unforgettable years!!! You had a nice experience. I am pretty excited as I plan for my study tour abroad..
Where are you thinking of going to study Ashley?